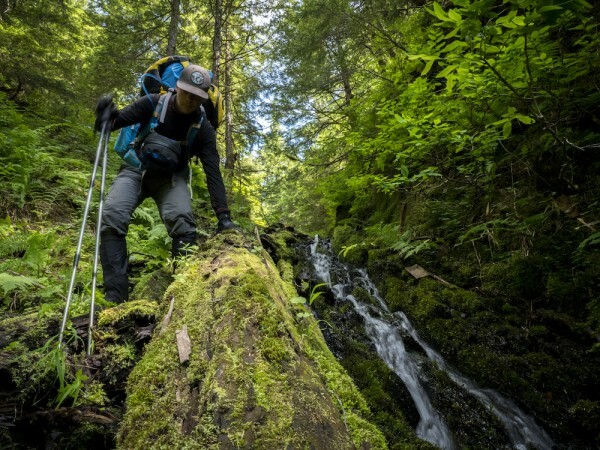 First, what’s commonly in backcountry water? Microorganisms—Simply put: tiny bugs or germs. Microbes are the primary focus of treatment devices because of their immediate and potentially serious risk to your health. The pathogenic ones include bacteria (e.g., E-coli, Salmonella), protozoa (e.g., Giardia, Crypto), and viruses (e.g., Hepatitis A, Norwalk). Sediment/Turbidity—Dirt, silt, mud, glacial flour. Sediment gives water its dirty appearance and is unpleasant to ingest. But it usually isn’t harmful in small amounts. Tannins & Humics—This natural organic matter (NOM) leaches into wilderness water as plants decay, staining it a tea color. They’re not harmful in small quantities, but they do impart odors and a bitter taste to the water. Organic & Inorganic Chemicals—Includes NOMs, but also pesticides, herbicides, and inorganic chemicals resulting from both industrial activity and natural erosion. Health risks usually arise from long-term, repeated exposure. Ordinary Salts—The result of eroding natural deposits or seawater contamination, salts simply make water taste bad; though very high concentrations can dehydrate you. When exploring coastal and desert regions, avoid drinking sea and brackish waters. Metals—Metals, like lead and mercury, can result from industrial contamination or natural erosion. They vary in potential health risk, but you can check with the ranger station for any local precautions before venturing out. 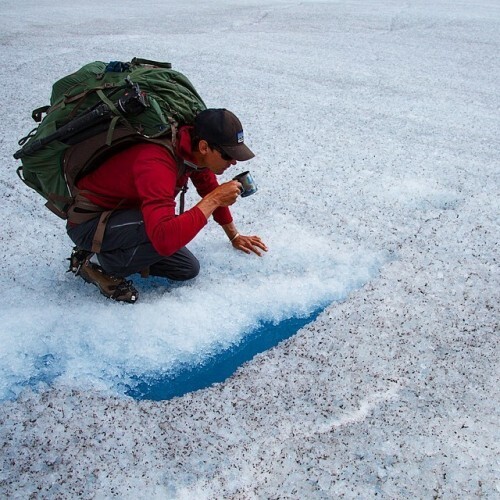 In terms of backcountry water treatment, what defines water that’s safe to drink? In the context of backcountry water treatment, water is usually considered safe to drink when it is free of pathogens—the disease-causing microorganisms. This is because they’re considered the “immediate threats.” In other words, swallowing even a few of these pathogenic critters on a short-term backpacking trip can make you sick with flu-like symptoms, or worse, very rapidly. In contrast, those other non-biological contaminants, while not appetizing, typically take a much greater amount, usually from repeated, long-term exposure to build up in your system and cause you harm. If your favorite backpacking loop makes you drink repeatedly from sources with pesticide runoff—that’s not a good thing. But in general, backcountry zones are relatively low-risk for these types of contaminants and the trace amounts you’d ingest on a typical trip likely aren’t enough to agonize over. That said, it’s important to assess your own risk level, and include drinking-water collection as part of your trip planning process. Are treatment devices required to prove their removal claims? Unfortunately, the answer is no. It may surprise many to learn that there is no government-regulated testing requirement to ensure a portable water treatment device actually removes the pathogens it claims to. The reasons for this are complex, but it makes it all the more crucial to buy from a reputable company. To ensure the safety of MSR products, we voluntarily test them to a standard developed by the EPA and NSF. This 10-day, multi-criteria test, called NSF Protocol P231, is based off municipal water treatment requirements. It tests a product’s ability to stop targeted pathogens, requiring that half the water used is so difficult to treat it’s referred to as “worst case” water. This allows MSR to confirm the reliability of our products in real-world conditions. Needless to say, researching a water treatment product before you buy is critical to your health. But, what about removing the other stuff? Again, the microbes are the primary focus because they pose the immediate threats. But how do you remove those secondary contaminants? First, it’s important to understand that contaminants come in a range of sizes. Protozoa, most bacteria, and sediment are considered “larger” on the microscopic scale. Filters that use “size exclusion” media, like ceramic, and hollow fibers (with pores smaller than the contaminants) typically filter these out. Viruses are the tiniest of the pathogens and require a purifier to be removed/deactivated. But even smaller still are the tastes and odors from tannins, and contaminants like pesticides, herbicides and metals. That’s where activated carbon can help. The role of activated carbon. Activated carbon has long been used in treatment devices because of its adsorptive properties—it attracts many types of molecules to its surface and traps them. Carbon is also highly porous, so a small piece provides lots of surface area. For these reasons, activated carbon is great for catching many contaminants that are so small—tiny molecules—that they pass through a microfilter. These include tastes, odors, pesticides, herbicides and pharmaceutical byproducts. Carbon can also pull out some heavy metals. 3.) Adsorptive filters, like carbon, don’t indicate when their surface is full—you have no way of knowing when it’s no longer doing its job. Therefore, treatment devices that rely solely on adsorption to remove the microbes run the risk of letting some of those immediate threats through to you. For these reasons, MSR products don’t rely on adsorption/carbon to remove the microbes. The MSR MiniWorks, for example, uses a ceramic element to filter out the bacteria, protozoa and sediment, and then activated carbon to reduce tastes, odors and chemicals. When viruses are a concern, we recommend the Guardian purifier or the MiniWorks with the addition of MSR Aquatabs® purification tablets. Activated carbon can make water more enjoyable to drink and adds an extra level of safety, but it’s still important to research where you’re going, and the types of filters and purifiers ideal for those environments. Also, a quick call to the ranger station can inform you of any particular local risks. Unfortunately, not even activated carbon will remove everything. But in most wilderness regions, a high-quality filter or purifier can get you out and back—with nothing more than stories of great adventure to share.